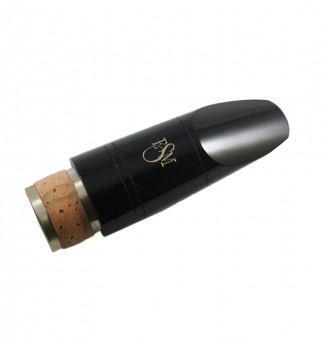 Specifically designed for the US market, the MCK1 is ESM's most popular Soprano clarinet mouthpiece. With its small tip opening of 1.03mm and its 18.0mm facing, it is comfortable for most - from ambitious students looking to upgrade to professionals who prefer a harder reed. 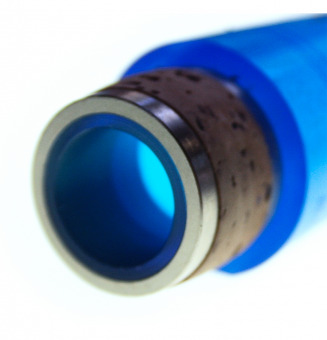 The blue Heaven material is a specialized acrylic compound with metal particles embedded in the material. In combination with the metal ring, the Heaven material provides very easy response, more control, and a slightly brighter sound. The JP5 is a great mouthpiece for anyone looking for a nice medium tip opening. If the MCK1 tip opening is too small for you but the LD1 too large, the JP5 might just be the one for you. It's tip opening is 1.09mm and the facing is 16.5mm long. The only ESM mouthpiece that is only available as Heaven, this mouthipece was designed with Lajos Dudas - a Hungarian clarinetist whose emphasis is contemporary music. With it's tip opening of 1.15mm and facing of 16.5mm it is perfect for players looking for flexibility and a larger tip opening. 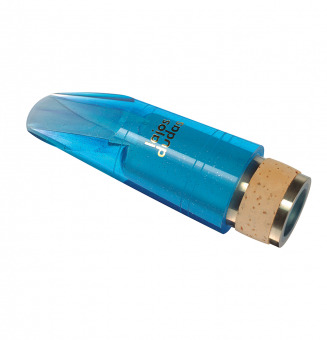 The JP7 is a versatile mouthpiece with medium to large tip opening. 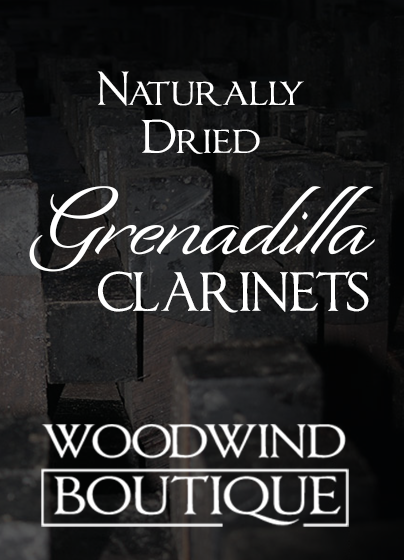 It is popular with both Symphonic and Jazz players and pairs well with lighter reeds. It's tip opening is 1.18mm and the facing is 16.5mm long. The black acrylic material produces the darkest and most German sound of ESM's materials. This is the way to go if you are looking to warm up your sound. 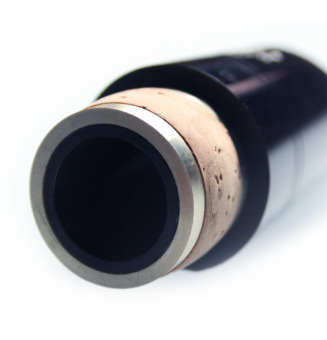 The optional metal ring brightens the sound slightly and makes a more immediate connection with the instrument and is a great option for players who are looking for something between the black acrylic without ring and Heaven mouthpieces. 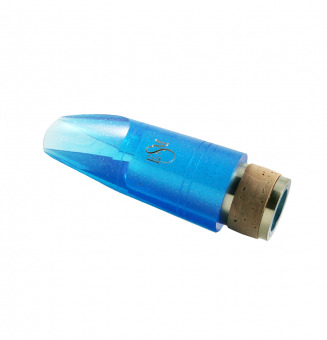 The E4D is a versatile mouthpiece with a tip opening that is on the smaller side. It lends itself to chamber, solo, as well as symphonic environments. Developed in collaboration with German clarinetist Friedolin Greis (Staatstheater Mainz), it is a fantastic choice for professionals looking for a a small to medium tip opening. It's tip opening is 1.10mm and the facing is 18.5mm long. The MB2 is designed for the US market - with a medium tip opening and a long facing it is a great for many players, especially those looking to cultivate a dark, velvety sound. It's tip opening is 1.14mm and the facing is 23.5mm long. The MBM is designed for the US market - with a medium tip opening and a long facing it is a great for many players, especially those looking to cultivate a dark, velvety sound. It's tip opening is 1.09mm and the facing is 22.5mm long. The SWA is perfect for symphonic environments. 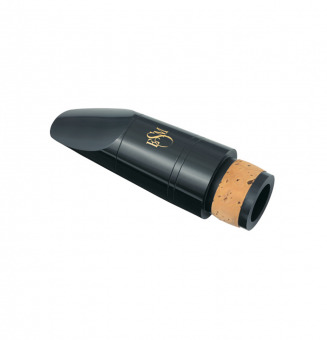 With a small tip opening and long facing, this mouthpiece is designed to provide a great sound with excellent dynamic control. It's tip opening is 1.06mm and the facing is 24.5mm long. Designed in collaboration with renowned German music journalist and author Claus Raumberger, the RCR line offers a nice variety for experienced players. The RCR3 delivers a strong, dark sound with a rich sound throughout the registers. It's tip opening is 1.19mm and the facing is 17.5mm long.